On a track frame with 68mm english bottom bracket shell, what BB length JIS sqr taper would I need for a 42mm chain line ? This chainset would normally be best suited to a bottom bracket with a 107mm length. It does depend on the chainline you're trying to achieve, for a standard track chainline of 42mm then a 107mm bottom bracket will be required. What Material Is The Crank Arm? Steel, Aluminum? This item is made from aluminium. Can You Suggest A Suitable (Inexpensive) Bb To Suit? 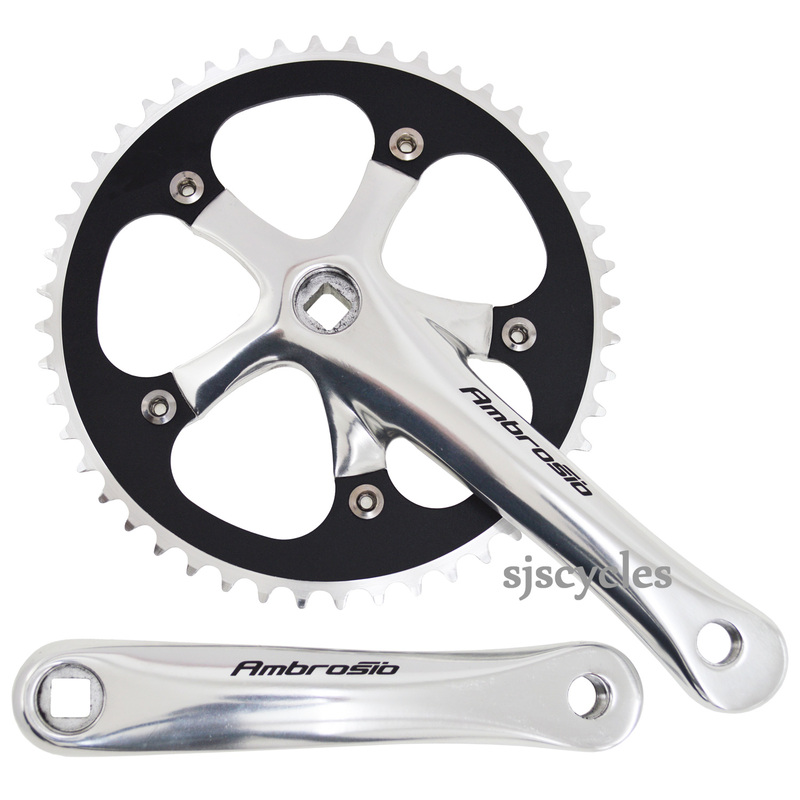 Without knowing what shell width your bike is its unfortunately not possible to recommend an individual item but this chainset would normally be best suited to a bottom bracket with a 107mm overall length. This chainset uses a 130mm BCD fitting for the ring.